Will the iPad 3's Retina Apps Be Too Big for 3G Downloads? Over at TheNextWeb, Matthew Panzarino argues that because expected resolution bump of the iPad 3 display would make app file sizes much larger, the App Store full of iPad apps larger than 20 megabytes which can't be downloaded over a 3G connection. Honestly, however, it's too soon to declare anything a problem. Due to the sizes of the images, apps that use custom graphics could double in size, pushing many that are just under Apple's 20MB download limit for 3G connections right over the top. It's a valid argument, but we still must consider that nothing has been announced yet. There are simply too many unknown variables to know what's going to happen the App Store and/or the iPad's wireless connections. A benefit of governing ones own app ecosystem is that Apple can change their policies on a whim. Provided they haven't overlooked this issue entirely, there's nothing stopping them from altering the download policy the day the iPad 3 is announced and new tools are seeded to developers. 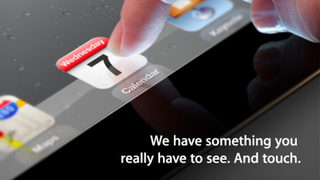 Secondly, we still don't know what sort of cellular radio the iPad 3 will have. The limit is in place to limit the length of time the 3G connection is ratcheted up and draining battery. If the iPad 3 has a faster 4G connection, it can download more data in the same time span while using a similar amount of power, which means that upping the data limit might not be a problem as far as its affect on battery life goes.